Anneke Hudalla is German Coordinator of CGYPP. 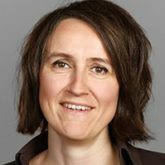 Dr. Anneke Hudalla is a seminar director who deals in the first instance with German and European security and defence policy, as well as with domestic and foreign policy in the countries of central and eastern Europe. From 2011 to 2017 she worked in Brussels and in Berlin in support of members of the European and the Federal German parliaments. Between 2006 and 2010, as part of the editorial staff on the weekly Czech newspaper ‘Respekt’, she was engaged in numerous reporting visits throughout the Czech Republic and other eastern countries of central Europe. 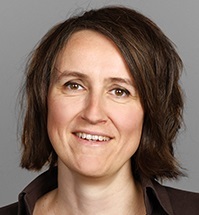 In 2001 she received a doctoral degree in political science from the Humboldt University of Berlin for a thesis on European policy in the Czech Republic. In 2017, she was a member of the jury which awarded that year’s German-Czech journalism prize.